While XJSDATA Data is a labor of love and will continue regardless, a donation or a purchase from our Caf� Press store will help us cover costs. Thank you! and More in the Store! 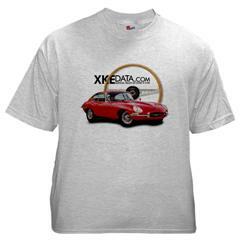 XJSDATA.com is a project to help people find information about a particular car or series of cars by serial number. So...What is the Difference Between This Site and Traditional Registers? This site welcomes participation from anyone interested in these cars. We aren't experts, but there is also no exclusivity to the data hosted here. You don't have to be a member (we don't have members, or everyone is a member, however you'd like to look at it) to list a car. In some cases this open model can lead to inaccuracies. But with your help the site can become more accurate--it's as easy as clicking on "add/edit" when you see a mistake, entering the car number, and editing the information. If a site user (perhaps you?) sees a car with such-and-such car number in a classified ad (or at a car show) that's what will be entered. It's all that's known at that point. But over time, hopefully more information will be added, corrections will be made, and at the end of the day we'll know a bit more about a particular car than we would otherwise. No one who contributes here (as far as we know) has the factory build sheets in front of them--take what you find here with a grain of salt. Ask any marque expert, or the keeper of a private register, what they think of this site--they generally all have the same view--and take their words to heart if you're doing in-depth research. Unlike this site, private registers are generally proprietary--and for good reason. A lot of work goes into maintaining a vetted list of cars. However, we feel there is value to the "wikipedia" model of a user-editable, user-updated online registry. There is value here, and we welcome your involvement, whether as student or (especially) as professor. We want to learn the fate of every Jaguar XJ-S, so if you know of cars which have gone to the big parking lot in the sky, by all means enter them. How do I add a car to the database? How do I update a car's information? Can a car be removed? Can information about a car be removed? Can a photo be removed? Why won't my photo or entry show up? Some data seems to be wrong, what should I do? How do I report duplicate photos? How can I find a specific car? What about searching on other criteria? How can I search the photos? Can you put me in touch with the owner of this car? Can you remove my copyrighted materials? Do you have published terms and conditions? What user data do you collect and track? Why don't you register users? What about others altering data? Isn't the existence of this site a shopping list for thieves? What about fake cars based on numbers published here? So, is my car more or less secure being listed on this site? Is the site crawled by search engines? Is this a commercial enterprise? What's the deal with your "partners"? I'd love to do one of these sites for my own favorite car. Can you help? I have an article I wrote, do you want it? Do I have to own a car to participate? Can I throw some money at you? It's very easy: just have the car number in hand, go to the data page and start from there. Remember, the form is complex but all fields are optional! Just put in what you know. If you get an error message about the car's number being incorrect, you may have a letter instead of a number or vice versa. If you go to the same page mentioned in the previous question and enter the car number, the form will come up pre-populated with the existing data. The site automatically creates a history entry to note changes, which will prevent old information from being lost forever. Go to the Gallery upload page, put in the car number and use the browse buttons to find the photos on your computer. The site will automatically resize images which are too large. Images must be jpegs. Generally, no. We do remove some details of cars from time to time as a courtesy but the fact that the car made it onto the site means that the knowledge of its existence is public information. If the car number was entered in error then we will move the data to the proper location. See the above question...but additionally, we will remove user comments about a specific car if they are either clearly incorrect or abusive. If you are the copyright holder of the original image we will gladly remove the photo if you did not upload it. Car entry information and photos are reviewed by site volunteers before they are posted. This may be minutes later, or it may be a few days. While we do not interpret facts, we do look for inappropriate items. We do not read or edit any text fields, though we may delete information if it is warranted. Note: comments submitted via the form available on most pages of this site are not moderated and appear immediately. Please send the webmaster a note via the link at the bottom of any site page and note the car number and what you feel is incorrect. Email the webmaster with the car id, we'll remove the duplicate(s). There are two ways of doing this: use the search box at the top left of every page, or go to the search page and use the form there. Note that if you check the box under the field for the car number, you can find all of the cars near to that one in the database. Use the same form the above question points to, but only fill out the items in the lower section to locate cars sharing those attributes. If you go to the Gallery, you can use the form there to locate images in the database that share the attributes you select. These sites are very transparent; if an email address has been left by a commenter or the person uploading the car data, their name will be hot and link to the form we provide for email contact. If it does not appear hot, that means they did not leave an address to get in touch and you know as much as we do! We do not store any "secret" data in our database. The site is built in CSS/HTML, which means any "modern" browser will display it correctly. IE6 or 7, Firefox, Safari, etc. will all work well. We unfortunately cannot support older browsers, and if the site looks garbled you may wish to consider upgrading. Yep. Note that we take efforts to ensure that the owner of cars uploaded to the database are left unknown unless they want to leave that information. We do not formally ask for or have dedicated fields in the database for that information. The rest of the information we keep is largely in the public domain and listing here constitutes "fair use." Copyright is a difficult and misunderstood area of the law. The fields in the "dataplate" consist of numbers or dates which generally cannot be copyrighted in the context in which we are displaying them. Photographs and narratives left in the comments would fall under copyright protections, and we do not want or condone the uploading of copyrighted materials from other sources, online or printed. If someone has uploaded photos without your permission or other material which would be found to be covered by copyright, please send us a note and we will review and remove illegal materials quickly. Yes. They are linked from the bottom of every page. If you use the site frequently, you may wish to occasionally review them to see if any provisions have changed. As long-time open internet advocates, we believe people should be able to use web sites without being relentlessly tracked. Data entry is completely anonymous. We do track IPs for comments and email form use, but only as a weapon in the fight on spam. This is meant to be a resource for everyone to use, not just owners of these cars. We do not have elaborate forums or other areas which would benefit from registered users. We feel very strongly that very little is gained from a security standpoint by requiring registration, as it is very easy to use an anonymizer and a throw-away email address to gain access to most registered sites. We do not have any privileged content to protect, or advertisers to show statistics to. We do not want to arbitrate arguments among registered users over car data or other aspects of the site. We do not want the data on any particular car to "belong" to anyone. Etc., etc. Knock on wood (show tapping of head) we have not suffered through any obvious attempts at manipulating the data on the site. The site records all data changes and displays them, so it is easy to see what the data has been in the past and spot obvious fooling around. In short: No. Frankly, while elderly British machines are valuable cars, there are plenty of them around and they are conspicuous and difficult to get rid of compared to modern cars. While classics are occasionally stolen, most thefts are by local joy-riders or are "crimes of opportunity," as when you leave the car unattended. Keep in mind that a ring of professional thieves can earn far more by stealing late-model commuter cars to be parted out than they can in the time it takes to track down and steal your car. Gone in 60 Seconds is a fun movie but a really unlikely scenario for any sort of successful stolen car operation. What about "fake" cars based on numbers published here? It's dumb. If you were creating a car from scratch, would you choose a car whose numbers were published in a registry, or would you choose a nearby car not covered in the registry, and whose numbers you could easily approximate? There are plenty of legitimate titles "in the wild." Dealers and others have been breaking old cars for years, and many have stacks of valid documents for cars which no longer exist. The type of people with access to the parts necessary to cobble together a "fake" old car also generally know how to make it "legitimate." Very few cars have any special provenance. As special as they are to owners, most production classics have very little in the way of special history or specification...this means no one is probably looking specifically for one particular E-Type or XK, rather they just "want one," perhaps of a specific series but rarely is the search more specific than that. We feel it's more secure, in that a "history" has been created. If your car is green and located in Canada, it sure looks suspicious when a car by the same number is on eBay painted black and located in Europe. Is this site crawled by search engines? Just like the rest of the internet, yes. It might be how you found us in the first place. The man behind the curtain is Roger Los, who lives on Whidbey Island in Washington State. There are also volunteers who help by finding and reviewing data (in no particular order): PaulS, StevenD, DanaB, Jagman, and DaveK. A bit of money comes in via the Cafe Press store, eBay auction links, and sponsors, but much more goes out than comes in (currently it's about 5:1, out:in, with everyone getting paid the same wage, $0). This site is a labor of love. If that changes (either the love part or we're suddenly making a mint), you'll be the first to know as either the site will be replaced with pictures of dogs in costumes (ie, the love has fled) or Roger will find time to add spiffy features, answer email in a semi-timely fashion, and buy the folks who help out on the site a beer (ie, that would be the minting money option--Roger plans on buying a solid gold hat if this happens). What's the deal with your "partners," "friends" or "sponsors"? Any links or logos in the box on the left nav are there because they have helped us out--either by providing promotion, lots of car data, or they are sponsored links. Note, we're not paid for the "friends" links (but visit them anyway!) and the others only kick back cash if you buy something from them after arriving from our site. Probably. The software is relatively robust but not of enterprise quality. It requires customization for each new marque/model added, which means work for Roger. Lazy, lazy Roger. Drop me a line via the webmaster link, and I'd be happy to talk about it. Yes! However, I have yet to update the engine I wrote originally to add articles, so they're a pain in the you-know-what, which may mean it will take awhile for them to appear. Absolutely not! There are many enthusiasts with information about classic cars who don't happen to own one. Feel free to add what you know. Do you want money? What's this eBay stuff? If you'd like to help fund our ambitions to live the life of a "trustafarian," please feel free to donate via the paypal link at page top. Another way to help (if you're an eBay user) is to enter eBay's site via the "on ebay" page as you head off for an evening of bidding on the obscure. To be able to display the searches on the "on eBay" page, we had to sign up as an eBay affiliate. That they return a few cents our way if you bid and buy something on their site (having arrived there via one of the links on our page) is a happy byproduct of having the search widget, but we embrace all happy byproducts. It doesn't cost you any extra fees, and it's a fun way to help keep this site going.